Update: Amazon launched the $199 Amazon Kindle Fire, the tech specs are better than expected and you can read more here. I’m a big fan of the iPad and of the Kindle, so I’m pretty interested to see what Amazon puts out and how well it runs, and the $250 price point with free Amazon Prime access will be really compelling to a lot of people. Amazon could really be onto something here, but the big question is if they will succeed where so many others have failed in the fight to compete with Apple’s runaway hit, the iPad. This will be a hit at $250, if the UI is nice I’ll get one too. Those specs are available already now, at lower prices. Now i am glad i didn’t wait for this piece of Junk, but got a beautiful icoia A500, which just has been upgraded to 3.2. What happened to the Quad-Core? 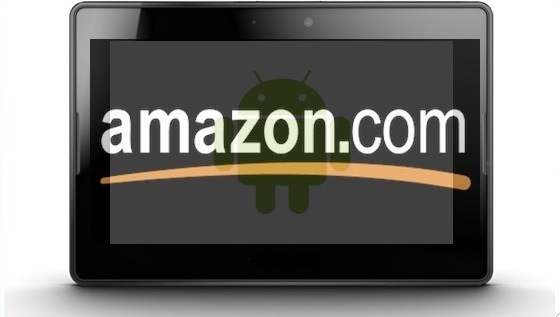 This will be successful because of Amazons brand, but does Amazon have a good user interface experience? Look at their website! There is a tablet at that price point that has tegra 2 512mb ram 8gb. It also has 2 usb, micro sd. It is the viewsonic g tablet. And it is a 10″ for 259.00 at Woot through Amazon. For multimedia the single core of the tablet Kindle just wont cut it. Single Core is not gonna do it….You want us to buy your stuff and buy your music, and buy your movies FINE. But if that’s the reason why you think we need a single core you are mistaken. SIngle core I ain’t buying and I’ve spent over 9000 on amazon since 2009 I still wouldn’t get it. tablets are not gaming machines so intensive specs are not important to me. But I am only considering this because I have an ipad, and I want a 7 inch tablet. I have not decided between this or nook color with rooted overclocked honeycomb. But if the form factor is similar to the playbook, this might be no good. The 7 inch tablets seem to be too thick to me.